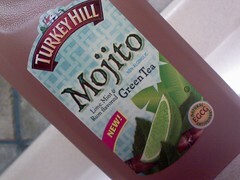 Mojito in a Bag, $1.99! 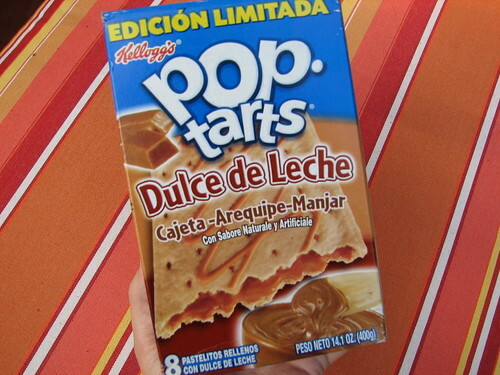 I am not sure why I am surprised to find Spanish language goods in local stores. Maybe because when I was growing up, the Spanish seemed insulated to the Miami and North Jersey zips where I lived out a bilingual life. 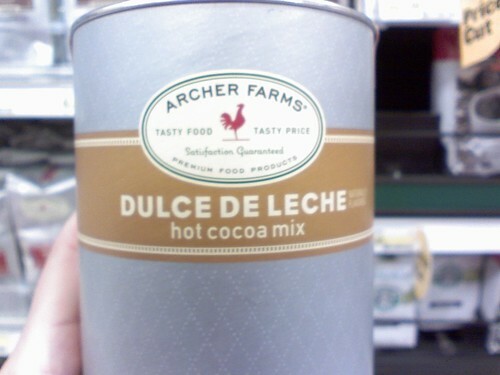 I think it was two years ago that I got all sentimental in the Wal-Mart Hispanic foods section when I found the squeeze bottle of leche condensada. Maybe I am so shocked because this is Nashville, after all, and a thousand years ago when I landed here, none of the Spanish I see and hear around me was even remotely possible. 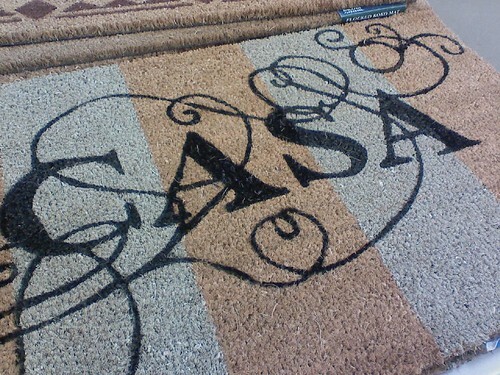 That door mat up there with “Casa” on it was in a local Lowe’s hardware store. I did a double take and cared not that people saw me taking a picture of a door mat. 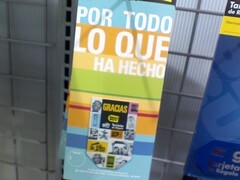 Best Buy Spanish Thank You Gift Card. I guess people can continue to get angry over “Press 2 for English” but by the looks of it, the gente who sell stuff are pretty damned happy that we know what “Oprima el Uno” means. 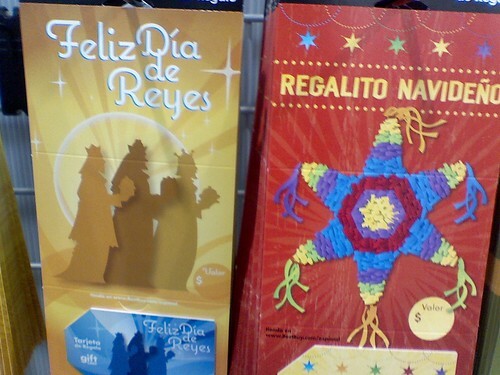 Have you noticed all the Spanish/Latino/Hispanic stuff multiplying? Was that nail polish you took a picture of in color Latino??? Carrie, this is a wonderful post. May I cross-post it in its entirety at HispanicNashville.com, with proper links and credits, of course? John, yes, no problem cross posting. I have noticed the same thing and agree…companies have taken note there are dollars to be spent and are wasting no time trying to cash in. I always go back and forth between being excited and being offended…. I’ve started to notice this trend too. We definitely have a lot of buying power and I do think they’re starting to catch onto the trend finally. Speaking of the trend I found this new Facebook page that my daughters love and I figured I would share: http://www.facebook.com/power10club. Check it out! Great post, Carrie. Look forward to the post about the high school reunion (I would have gone as a cougar, but what’s a male “courgar”?….creepy middle-aged man? not fair)… Anyway, I came to Minnesota from Colombia almost 14 years ago (wow!) and in that period of time, I’ve seen a tremendous increase in the influence that Spanish and our gente in general are having on the mainstream culture here. We are mainstream. I feel like our Latin culture is no loger perceived as beign that different from the Italian-American, Irish-American, African-American subcultures…exciting, interesting, colorful, but overall, quintessentially and basically American. Lo cual es fantástico. 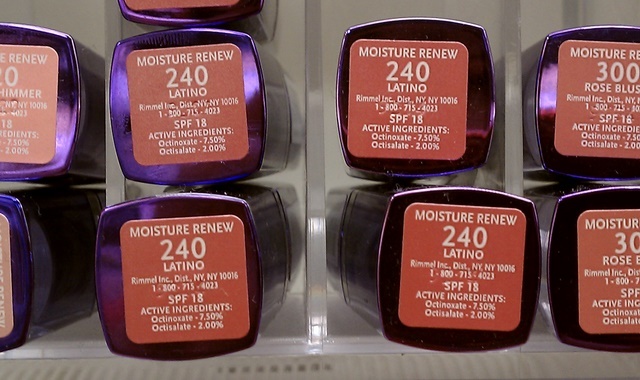 Hey, latino color lipstick! Now that IS interesting! Maria and Cristina, indeed, it is about the buck, but at least the products were not culturally ridiculous or offensive. Hurrah for that.